6 July 2017. An assessment by Dutch health authorities concludes mosquitoes genetically engineered to produce offspring that die before adulthood pose few health or environmental risks to humans. 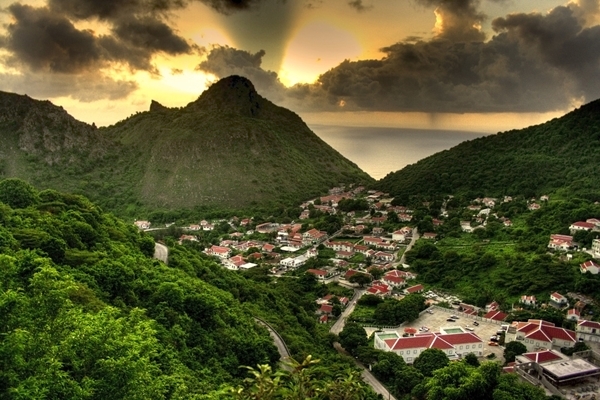 The Dutch National Institute for Public Health and the Environment released its report today evaluating a line of genetically engineered mosquitoes produced by Oxitec Ltd., to control local mosquito populations on the Dutch Caribbean island of Saba. Oxitec, in Oxford, U.K., developed its genetically-engineered Aedes aegypti mosquito to head off outbreaks of diseases spread by pathogens, notably Zika, chikungunya, and dengue viruses, carried by that species of mosquito. The company uses genetic engineering techniques to insert a gene in males of the species that when released into the wild mate with females and produce offspring that die before becoming adults, and thus are prevented from having offspring. As a result the Aedes aegypti mosquito population in the area of the release is markedly reduced or eliminated. This type of mosquito is proposed for use in Saba, a volcanic Caribbean island of about 5 square miles and Dutch possession for 345 years, home to some 1,800 people. The local council proposes releasing Oxitec’s variety code-named OX513A, a type of Aedes aegypti mosquito with a red fluorescent marker that allows for tracking their presence. The Dutch institute’s investigation used guidelines prepared by European regulators for genetically modified insects, looking into factors such as persistence and invasiveness of the engineered insects, effects of the modified mosquitoes and their disappearance on local food chains, risk of transferring DNA from the engineered varieties to other organisms, and impact on human and animal health. The assessors said adverse effects were unlikely from the engineered mosquitoes on human health and the environment. The team looked into previous releases of these mosquitoes in other tropical regions, such as the Cayman Islands and Brazil, where similar risk assessments were performed, and found no unanticipated results or unintended effects. The team also notes the investigation did not assess the potential effectiveness of the modified mosquitoes or socioeconomic impact of their release. Similar assessments were performed in 2016 by World Health Organization and U.S. Food and Drug Administration. The FDA evaluation, as reported in Science & Enterprise, was conducted in advance of a proposed release of self-limiting engineered mosquitoes in the Florida Keys. A public referendum in the Keys in November 2016 found overall approval of using the engineered mosquitoes, but not in the proposed communities where the modified insects were to be released.